WhatsApp, iMessage Retrievable ‘Deleted Messages’ In Favor Of The Government? An iOS researcher has found that WhatsApp's deleted messages are not totally wiped off of the app’s database. They can still be retrieved with the right forensic tools and be used against users when the need arises. Jonathan Zdziarski, an iOS researcher, revealed the findings of his research on what happens to WhatsApp data once they reached the local disk drive or the iCloud storage of smartphones. 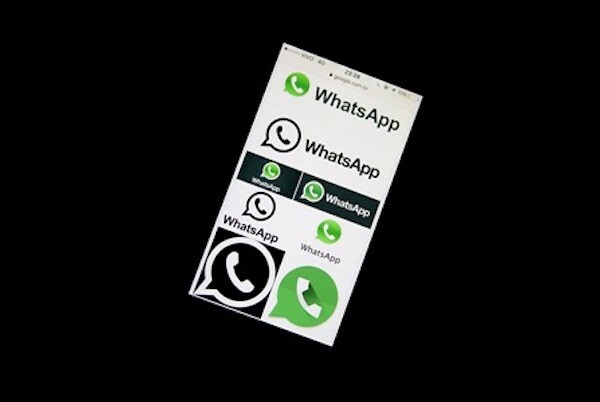 Per Zdziarski’s research, it is possible for forensic experts to retrieve WhatsApp's deleted messages though the app has claimed that it has a secure system which is impenetrable to tracking, Tech Guru Daily reported. Deleted data are apparently stored within the software and they can be collected from the device where the app is installed and even from remote backup systems. The culprit behind this issue is the SQLite library coding of the app which unfortunately does not overwrite deleted data, but simply mark them as deleted. Though WhatsApp switched to end-to-end encryption through Signal protocol by default this April, the problem still persists because the privacy system is only capable of protecting data in transit or data traveling across the network, The Verge has learned. Therefore, it is possible for deleted messages to be recovered by forensic experts or obtained by the police through a court order, nullifying WhatsApp’s claim of being a safe and secure messaging application. The same thing can be said of Apple’s iMessage, which was also seen in a different light after the FBI obtained a court order for the Cupertino giant to hack into the San Bernardino shooter’s iPhone. The court order even triggered the battle between the U.S. government and Apple, which has maintained that it is not going to comply because it does not have the software tool to bypass its own encryption on top of its firm stand on securing customer privacy, according to Beta News. Zdziarski pointed out that the government can use the similar loophole in WhatsApp and iMessage to breach customer privacy in favor of court proceedings. Fortune already reached out to WhatsApp for an interview regarding the controversy the app is facing, but it has yet to respond as of writing.